Home / Blog / Sport White Special Edition Xbox Controller Revealed. 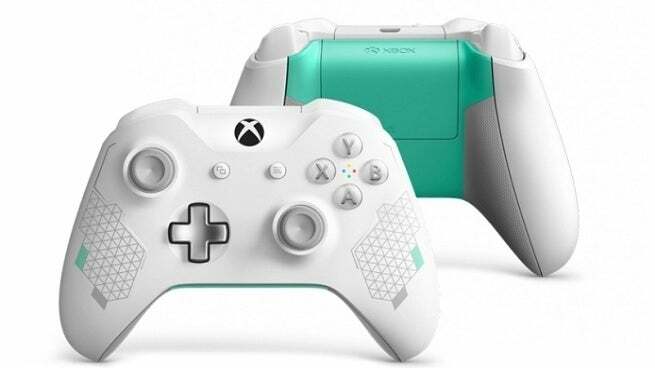 Xbox revealed a brand new special edition controller: the “Sport White Special Edition” Xbox One controller will start showing up in stores in the United States and Canada on July 31, and will start shipping worldwide on August 7. Inspired by trends in athletics and sports lifestyle, the Xbox Wireless Controller – Sport White Special Edition is the first controller in the new Sport series. It features an energetic color palette with a fresh white base color (the same white offered through Xbox Design Lab), mint accents, and grey and silver patterns.